On Friday, the 10th instant, Mr. Ralph Dermott, to Miss M. Matchett, both of this city. December 25, at Moira Cottage, near Coburg, Canada, Thomas V. Tupper, Esq., of Cavanville, to Anna Sophia, daughter of Morgan Jellet, Esq., of Ballymena, county Antrim. December 14, at New York, by the Rev Mr. May, Mr. Chas. E. Edgeworth, Dublin, to Miss Sara Parry, of Liverpool. At her residence, Northland row, Dungannon, on the 8th instant, Miss Isabell Graves, only surviving sister of the late Admirals Samuel, Sir Thomas, John, and Richard Graves. January 4, at his residence, Auburn, county Dublin, Andrew Crawford, Esq., most sincerely and deservedly lamented. November 10, at Nolapore, India, of cholera, after three days' illness, Ensign George John Weld, of her Majesty's 22d Regiment of Infantry, second son of George Weld, Esq., of Leagram Hall, near Preston, Lnacashire, and nephew of Joseph Weld, Esq., of Lulworth Castle [Dorset]. At Blackrock, Cork, aged 72 years, George Foot, Esq., barrister-at-law. January 6, in Lower Dominick-street, Dublin, Alexander, the infant son of Daniel Auchinleck, Esq., of Crevenagh House, Omagh. At St. John's [sic], New Brunswick, on the 7th December, after a long and painful illness, Mr. William Wilson, in the 82d year of his age. He was a native of St. Johnston, county Donegal, Ireland. On Friday, the 10th intant, in Shipquay-street, after an illness of less than 24 hours, most deeply and deservedly regretted by a large circle of friends and acquaintances, Eliza, eldest daughter, unmarried of David Webster, Esq., Manager of the Provincial Bank, Derry. In the 79th year of his age, Michael Meegan, of Mountstewart, near Clogher, in the county of Tyrone. At Milltown, parish of Ardstraw, David Love, Esq., Lieutenant of the 1st Strule corps of Yeomanry, who loved him for his straightforward, upright, liberal principles. He was a sound Protestant, orthodox Presbyterian, and a lover of truth, and spurned the idea of contending about Church ceremonies and creeds ; in a word, He was the staunch unflinching friend, whose object was truth's holy word to read, when bigots raged against each other's creed. On Tuesday last while Mr. Richard Bracken was transacting some business in Ballinamore, he suddenly became indisposed, and after an hour's illness he expired. He was High Constable and Collector for the barony of Glenawly, county Fermanagh, for many years. Deceased was universally esteemed as an honest, upright character. On the night of Friday the 10th inst., a man named Thomas Mullan, of most inoffensive, sober and industrious habits, left Moy where he had been working during the day, for his residence in Kineary, about a mile distant; his near way home was along the Blackwater bank, having to cross a footstick over the Callan river before reaching home. The night was awfully severe, the rain falling in torrents, and it would appear he had approached within a short distance of the Callan, as his stick was found adjoining it; but whether owing to the darkness of the night or not, it cannot now be ascertained, he seems from the foot-marks to have wandered backwards through Charlemont bog, retracing his course too near the lock-pit of the Ulster Canal, where his body was found the next morning with his coat and hat off, and deep impressions of his feet on the soil, as if struggling in some convulsive effort before death ensued. No marks of violence appeared on the body, nor is there the slightest suspicion of such being the case of his untimely and mysterious death. A coroner's inquest was held on Sunday morning before George Henry, Esq., of Tassagh, and a verdict returned to the effect that he had foundered owing to the inclemency of the weather, and having mistaken his way. Mullan has left a wife and large family to deplore his loss. The high road from Charlemont to Kineary is upwards of two miles and a half round, whereas across Charlemont bog it is not more than half a mile by a very dangerous path, and within the last five years four or five individuals have been loss [sic] travelling it, including, amongst others, the daughter of the deceased. It is deeply to be regretted that the Grand Jury of this county do not take steps to form a road here, with a light bridge across the Callan, a measure which would not only conduce to the safety of life, but likewise open a densely populated and fertile district of country, which is now completely insulated by the rivers Blackwater and Callan. According to annual custom, we have now to report Lord Gosford's agricultural dinner for this year, which certainly does not yield in importance to any that have preceded it. The company was limited as usual to the small farmers of the Gosford estate, with several, however, from the adjoining properties most distinguished for their agricultural improvement ; amd there were not wanting some of the higher orders, who, from feeling an interest in the objects of the meeting, had come from considerable distances to take part in the proceedings -- amongst whom may be mentioned Dr. Kane, the well-known author of the " Industrial Resources of Ireland;" the Hon. J. Hewett, of Meenglass, county Donegal ; W. S. Trench, Esq., Carrickmacross, agent to the Shirley estate ; P. Foxall, Esq., of Killevy Castle, Dundalk ; Mr. Skilling, from the model farm of Glasnevin; besides Barnet M'Kee, Esq.., Mr. M'Kean, of Ballyharridan, and others more in the immediate neighbourhood. Great regret was occasioned by the absence of the lord of the soil, the Earl of Gosford, who was prevented from attending by a sudden fit of the gout, which confined him to his room. Owing to this unfortunate circumstance, the chair was taken by Mr. Blacker, who, after the usual loyal toasts had been drunk, prefaced the health of his lordship by reading to the company a letter from him. His lordship's health having been drunk with an enthusiasm which may be better imagined than expressed. The Chairman called for the decision of the judges as to the challenge cup presented by the Earl of Gosford to the Markethill Agricultural Society, to be awarded to the tenant who had the best cultivated and best appointed farm, above ten acres, on his estate, to become the tenant's property if kept possession of for three successive years. Mr. James Black, of Lattery, the winner of the cup last year, being also successful this year, his health was immediately given. Mr. C. Christie responded to the toast, and gave a detailed account of each of the candidates' farms. The Chairman then called on the Secretary of the Markethill Society to read out the names of the successful competitors for the best cultivated green crops, thorough-draining, &c., and then drank the health of Mr. Alexander Small, the successful competitor for the neetest [sic] and best cultivated farm and establishment." Mr. Small said he endeavoured to do as well as he could at home, in his own quiet way, but that he could not compete with the great farmers, such as Mr. Byers and Mr. Black.-- He would, however, be well content if he could rival some of his very humble neighbours, one of whom, with three acres, contrived to bring up a family of seven ; and another, with four acres, a family of nine. The reference to the two small farmers in the speech excited great interest, and the chairman proposed to drink their healths, which was accordingly done ; but it afterwards appeared one was a shoemaker and the other a broguemaker, and they did not therefore depend on their farms entirely for support. The Chairman next gave "The Judges of the Markethill Society's premiums for the best cultivated farms and green crops," which was responded to by Mr. Reginald, who said--Being one of the judges, in company with James Scott and Alexander Mitchell, chosen by the Markethill Society, for awarding the green crop premiums, I beg to offer the following remarks taken in the course of our visit:--In the first place there is a very visible improvement beginning to exhibit itself on most of the farms that we have visited. Notwithstanding all the improvements, there is something still to be done, which, I, in common with my brother judges, am sorry to say, has been neglected, and that is adopting the requisite regularity in the formation of the drills in the turnip crop. THE ANNUAL AGRICULTURAL DINNER AT MARKET-HILL. CONT. One instance will serve to illustrate a good many facts with regard to the irregularities that are apparent, namely, that upon Mr. O'Hagan's farm... With respect to the best tillage farm, we visited a good many that were offered for competition, and none was so commendable as Mr. Alexander Small's of Shanecracken. It consists of 25 acres. Mrs. Small also deserves particular credit for the very superior management of her flower-garden, which is the admiration of every visiter [sic], and is conducted by herself alone. The farm of Mr. George Scott, of Lurganboy, was the next we visited. It contains 44 acres... In conclusion, it is but justice to remark that on Mr. P. O'Hagan's farm the turnip crop is at present nearly equal in quantity to that of the highest we visited, notwithstanding the drills being a little too wide apart, in consequence of being formed by an inexperienced ploughman. ...the only premium offered directly by his lordship was a challenge cup for the best cultivated farm above ten acres to be competed for by such members of the Market hill Farming Society as were his lordship's immediate tenants, which had just been adjudged to Mr. James Black. Mr. Herd having given in the award of the judges in favour of J. Beatty, the holder of nine acres of land, near Hamilton's Bawn. The Chairman congratulated him on his success, and proposed his health, requesting that he would favour the company by stating some of the results of his exertions. A discussion on furrow-draining and other interesting agricultural topics followed. The healths of Professor Kane, Mr. Blacker, the Hon. Mr. Hewitt, and others were generally toasted, and an evening of great enjoyment was passed. Newry Telegraph. THOMAS EYRE, Esq., of Benburb, has been sworn in a magistrate for the county of Armagh. It said that THOMAS H. JONES, Esq., Moneyglass, has been appointed High-Sheriff for this county, for the ensuing year. 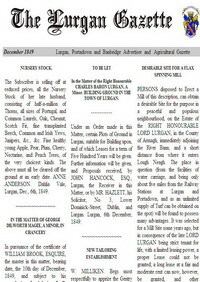 George Lefroy, Esq., has been appointed high-sheriff of the county of Longford. An amusing circumstance took place on Wednesday last in the Carlow Court-house, during the trial of prisoners before the Assistant-Barrister. A man named Sadler having been convicted of a petty larceny; was sentenced to three months imprisonment and hard labour; but being influenced by a desire of visiting foreign parts, he entreated his worship and the bench to "let him free entirely, or give him seven years." The court promptly informed him they could not at present gratify so laudable a desire but would take the opportunity of accommodating him, should he again present himself under similarly suspicious circumstances. The next prisoner tried was a young man named Hall--notorious for his robberies, who was convicted, and sentenced to seven years transportation. He burst into tears, and begged hard for mercy, and pointing to his companion in the dock (Sadler) asked the Barrister "Wouldn't he allow the other man, who was so anxious to cross the water, to go in his place?" They were both removed amidst much laughter. Carlow Sentinel. On Friday last a woman entered the shop of Mr. Ralph Copeland, and took with her several valuable articles, after which she went to Mr. Kerrin, pawnbroker, who received them from her, and immediately informed Mr. Copeland, and had her detected on the spot. This is a general practice carried on in the town by those idle vagabonds that frequent our shops on fair and market days when they find the shopkeepers in the throng of business. AT a MEETING of the Commissioners of Police, for the Town of MOY, appointed under the 9th of George the IV., cap, 82, and held in the Court-House of said Town, on Monday the 6th of January, 1845, it was ordered that each Householder shall have the Pathway and Channel adjoining their dwelling houses, well, and sufficiently Swept and Cleansed every morning before Nine o'Clock, under the penalty of Two Shillings for each default. Dated the 6th of January, 1845. Our talented but afflicted countrywoman, Miss Frances Browne, the blind poetess of Donegal, has had a pension of 20l. a-year bestowed on her by Lady Peel, from a small fund, which Sir Robert Peel, in a letter, addressed to the poetess, says, "usage has placed at the disposal of the lady of the prime minister." THE Commissioners appointed to conduct the building an addition to the County Armagh Gaol, will receive Proposals from persons willing to Contract for the Work, according to Plans and Specifications, furnished by WILLIAM MURRAY, Esq., Architect. Proposals to be addressed and sent to Mr. WILLIAM BARNES, 20, Scotch-street, Armagh, Clerk to the Commissioners, on or before Friday, the 28th day of February, 1845, to be marked-- "Tender for Building Additon to County Armagh Gaol." Each Tender to specify the names of two sufficient Sureties, for double the amount of the sum Tendered, as required by the 22d sec. of the 7th Geo. IV., cap. 74. The Plans and Specifications are lodged with Mr. WILLIAM BARNES, and may be examined at his Office, as above. Further particulars may be had by application to WILLIAM MURRAY, Esq., Architect, 68, Lower Gardner-street, Dublin, HENRY L. LINDSAY, Esq., County Surveyor, Russell-street, Armagh, or Mr. WILLIAM BARNES, as above. Armagh, 8th January 1845. On the evening of the 10th inst., the Companions of the Royal Arch Chapter, (held under the sanction of the Grand Royal Arch Chapter of Ireland, and attached to the Masonic Lodge, No. 39,) assembled in the Chapter room, in the house of brother and companion D. O'Neil, 26, Dobbin-street, Armagh, when, according to the ancient custom of that sublime degree, Wm. E. Prenter, Esq., was initiated in the mysteries of the order R.A. and S.E. masonry. The following office bearers of said R.A. chapter were in attendance:--M.E. brother and companion Owen Gibbon, G.M. ; M.E. brother and companion John K. M'Iver, D.G.M. ; M.E. brother and companion John Woods, S.G.W. M.E. brother and companion Richard Power; M.E. brother and companion John Murphy; M.E. brother and companion Francis Gibbon--G. Scribes. M.E. brother and companion John Beatty; M.E. brother and companion David Griffin, S.W., also member of said chapter; M.E. brother and companion John Arthur, M.E.--623. Companions in waiting. Thomas Hughes.--G. Tyler. Much credit is due to Mr. O'Neil for his exertions in promoting and forwarding the different operations attending his office as Grand Lecturer and Sublime Instructor. "Worthy companion--you are now exalted to the sublime and honorable degree of an R.A.M. Having attained this degree, you have arrived at the summit and perfection of ancient masonry, and are consequently entitled to an explanation of the mysteries of the order. The mysteries developed in this degree have been handed down through a chosen few--unchanged by time, uncontrolled by prejudice, and we expect and trust they will be regarded by you with the same veneration, and transmitted with the same scrupulous purity to your successors." The chapter closed by the mysterious number. At the quarter sessions of this town Mr. Ryan, the owner of a hotel here, obtained a decree against Lieutenant Brown, of the Rifle Brigade, for an alleged injury done to one of his post cars at the last races of this town. It appears that the officers of the Rifles, when stationed here, were in the habit of dealing with Mr. Zemmet, the former proprietor, and having had an invitation to dine with the officers of another company which replaced them, Lieutenant Brown ordered a car to take him and two brother officers to the barracks, a distance of a few hundred yards. On their way thither one of the shafts broke, which annoyed them so much (being obliged to tramp through the mud at night) that they upset the car in a gripe and left it there. Ryan, however, got a decree for the cost of a new one, although several gentlemen in the court stated "that Lieutenant Brown had been on leave of absence for the last two months, and that he must have known nothing of the process, and also that the charge was nothing short of an extortion." One of Ryan's witnesses, however, swore that he saw Mr. Brown in Athlone. The Court decreed him to pay Ryan the sum he (Ryan) paid for a new car. Roscommon Journal. On Thursday night last, a threatening notice was served on Mr. Wm. Johnston, threatening him with the death of the Sheppards in open day, if he did not surrender some land he holds from which the widow Byrne was ejected. A poor fellow, named Breen, got his leg broken on Tuesday, by some accident in getting off the two o'clock down train from Lisburn. He was conveyed to the hospital, where he is in a dangerous state. Belfast News Letter. The Earl of Huntingdon has remitted all arrears of rent upon his estate near Loughrea [Co Galway], to the 1st of May last, and made an abatement of 35 per cent. to the tenants. The Countess ordered 100 pair of blankets to the poor on the same property. On Saturday night some ruffians went to the haggard of a Mr. Walker, a Protestant, living at Turagh [Co Offaly], within two miles of Shinrone, and set fire to a large stack of oats; they also cut the throat of one of his horses. They next went to the haggard of a man named Piper, also a Protestant, in the same neighbourhood, and set fire to a stack of wheat, and rick of straw, belonging to him. ANDREW ANDERSON, Seedsman, Nurseryman, and Florist, RESPECTFULLY informs the Nobility, Gentry, Agriculturists, and Gardeners of the North of Ireland, that he has opened A SEED ESTABLISHMENT in SCOTCH-STREET, ARMAGH, (nearly opposite the Bank of Ireland Office,) where, by supplying SEEDS of superior quality, true to name and sort, and at moderate prices, he hopes to be favored by a share of that patronage so liberally bestowed on those who do business on this principle. His NURSERY, at LURGAN, is stocked with all sorts of FRUIT and FOREST TREES, superb collections of the newest DAHLIAS, PANSIES, and other Florists' FLOWERS. Catalogues of all sorts of Seeds and Implements are now ready, and may be had on application. N.B.--MYATT'S, ELIZA, and MYATT'S BRITISH QUEEN STRAWBERRIES at 5s. per hundred. Seeds of the true BUSHWOOD MELON, at 1s. per packet. A MEETING of the Governors of the Keady Dispensary will be held in the MARKET-HOUSE of KEADY, on MONDAY the 10th DAY of FEBRUARY next, at the hour of Twelve O'Clock, for the purpsoe [sic] of electing a qualified Medical Superintendant. Candidates must be present, and must send in their papers, sealed, to the Secretary, at or before Ten o'Clock of the morning of the election. (Signed,) SAMUEL SIMPSON, Sec. and Treasurer. The Board of Guardians of this Union met on Tuesday last, when Mr. WILLIAM GARDINER, pursuant to notice, moved "that the schools of the Armagh Work-house be placed under the superintendence of the National Board of Education." -- No Guardian seconded the motion, and it was withdrawn. STATE OF THE WORK-HOUSE FOR THE WEEK ENDED 11TH JAN., 1845--Admitted during the period, 19; discharged, 12; died, 1; remaining on the above date, 506. THOMAS KENNEDY and MARGARET ROSS, were committed to our county Gaol, on Saturday last, for trial at the ensuing assizes, for swindling. It appears that on the 23d ult., the female was arrested at the Post Office of this city, while receiving a letter addressed to her containing 5s in silver, which one of her applications had succeeded in obtaining. KENNEDY had previously applied at the Post-office for the letter, but was refused until Ross would be present. While he had gone for Ross the police were apprised of the circumstances and succeeded in securing the pair. On Tuesday, the 7th inst., there was held in the Northern Bank, a large and influential meeting of the Linen Board of this country, and other gentlemen interested in the prosperity of our staple manufacture.  Resolutions were passed recalling several of the brown linen seals, to cancel or remodel them where necessary, in order to afford every facility to the Inspector to carry out to the full extent the provisions of the act, 2 & 3 Wm. 4, cap. 77, which step will, we hope, have the effect of checking the frauds in many instances practised in the linen manufacture in this county and neighbourhood. It is stated that foreign buyers who from time to time visited our markets to make purchases have been so disgusted by those fraudulent practices that they have in a great measure forsaken us. It, therefore, behooves every lover of the prosperity of this country to lend his best aid to the complete suppression of such proceedings. The Subscriber has been receiving within the last few days, a large Consignment of PLAIN & CUT GLASS, from one of the first Manufacturers in England, and has received instructions to offer them at Wholesale Prices. CHINA AND EARTHENWARE. In addition to the above he has received a few Crates of STONE CHINA EARTHENWARE, in Breakfast and Evening Teas; also, a large lot of FINE CHINA, at from 7s. 6d. to 10s. per Set, complete. --ONE THOUSAND OVAL TEA-POTS, in all colours, at six pence each.